Last week I attended my first Share Network meeting for the ‘Fenland Network’. The day we spent at Mildenhall and District Museum was both useful and enjoyable, containing a great mixture of both training and networking opportunities. Attendees were encouraged to give short, 5 minute updates on the current events and activities which are taking place at their museums and I’ve already been able to share with some visitors here at Ely Museum about these local events, encouraging them to head out to the Mill weekend at Burwell Museum in May and to enjoy the Grand Fen Fayre weekend at Ramsey Rural Museum! We enjoyed a useful and practical social media training session by Kristian Downer, who was able to give us both some practical takeaway advice and many other future options we can explore. He encouraged us to find the right social media channels to reach the audience we want to connect with. By using services such as LinkedIn which is already well used and established within the local business community, we can make direct and meaningful contact with our local business leaders. He also showed us how to target our Facebook advertisements to reach the audiences we seek which was something the network all agreed we’d like more training on, and that is really a great benefit of attending these network meetings, we were able to establish a training need on the day, and get the ball rolling on organising this training at future meeting! We discussed updates to the FensMuseums.org.uk website too and the features we would like to see and find on the website, as well as different ways the network could enhance the website with stories and folklore from our own corners of the Fen. 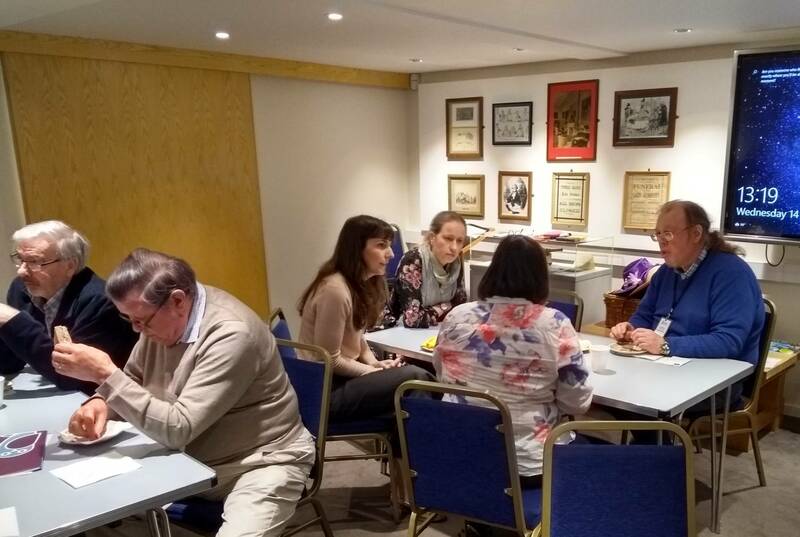 I’d definitely encourage anyone to attend and get involved with their local Fenland Network, it was a great opportunity to meet with fellow museums, share news and updates and get some useful training that is both practical and relevant for museums of our size and location. Our thanks must also go to Sally Ackroyd and Steve Watson for organising the event and to the volunteers of Mildenhall and District Museum for their hospitality and enjoyable tour of the museum! Emily Allen works as a Custodian for Ely Museum.